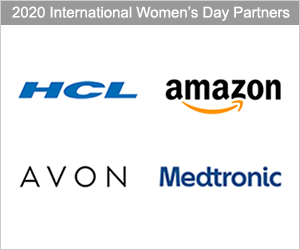 Around the world, influential communications and branding agencies were quick to support the call to #PressforProgress. As innovative thought leaders serving some of the biggest brands in industry, agencies play an integral part in bringing new ideas and clear perspectives to the equality narrative. Global branding firm, Siegel+Gale, rallied marketing leaders from various industries to champion the call to #PressforProgress. Their International Women's Day program over three days in three cities was truly inspiring and highly remarkable. Meanwhile, a further example of #PressforProgress best practice came from GTB, a progressive communications agency that prides itself on inspired thinking. 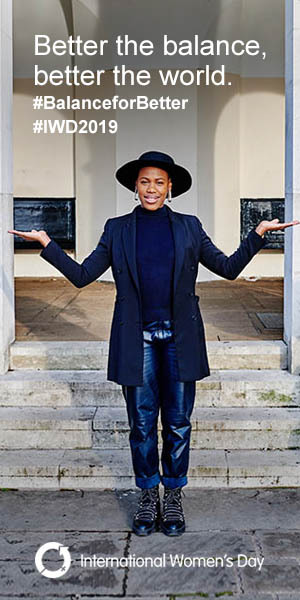 With an impressive network across 51 countries, each GTB location is unique yet they all have a single vision - and their passion for forging diversity and equality is key. Siegel + Gale celebrated International Women's Day in a significant manner. 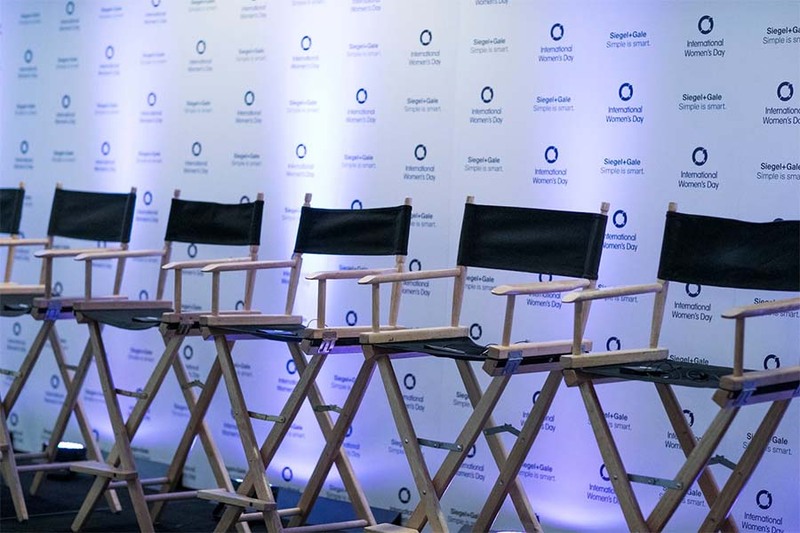 More than 180 marketing leaders from influential brands attended Siegel+Gale’s events in New York, Los Angeles and San Francisco to #PressforProgress for International Women’s Day. 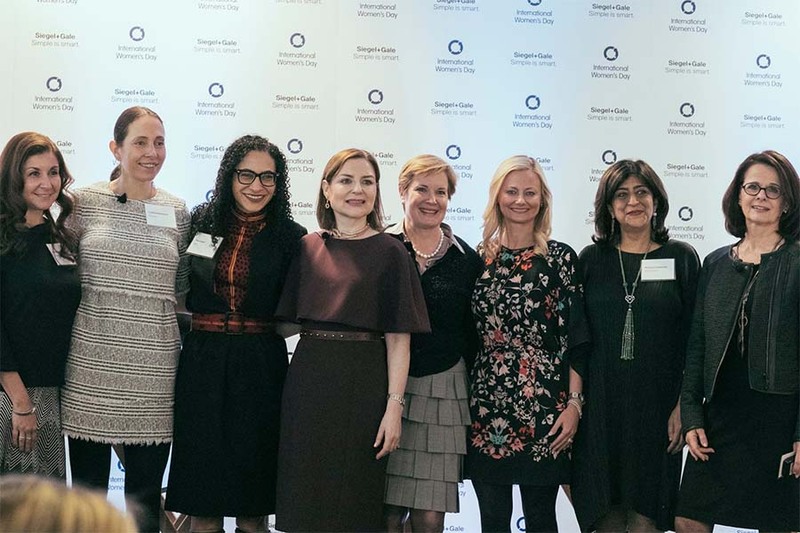 Siegel+Gale championed best practice for their International Women’s Day celebration through successfully inspiring colleagues to #PressforProgress as they celebrated strong female executives, all of whom are exceptional role models. Three cities, 18 female speakers, and one important conversation on #PressforProgress. An engaging panel, moderated by Margaret Molloy, Global CMO, Siegel+Gale,provided attendees with timely advice on how to advance professionally, as well as how to help women succeed further. The panelists shared advice on how females can advance in the workplace and provided thoughts on how the state of women in the workplace could be improved moving forward. The empowering panel discussions that followed focused on challenges and responsibilities of women in senior marketing roles as it relates to brand building and navigating leadership. An impressive line up of female speakers from across industry ensured Siegel + Gale's International Women's Day celebrations were a success. 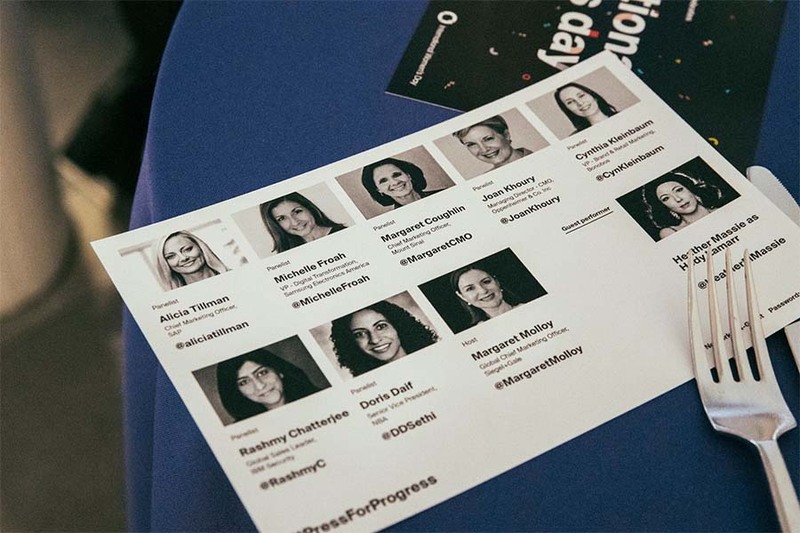 The event was targeted to accomplished marketers, looking to engage in IWD 2018’s agenda to #PressforProgress. 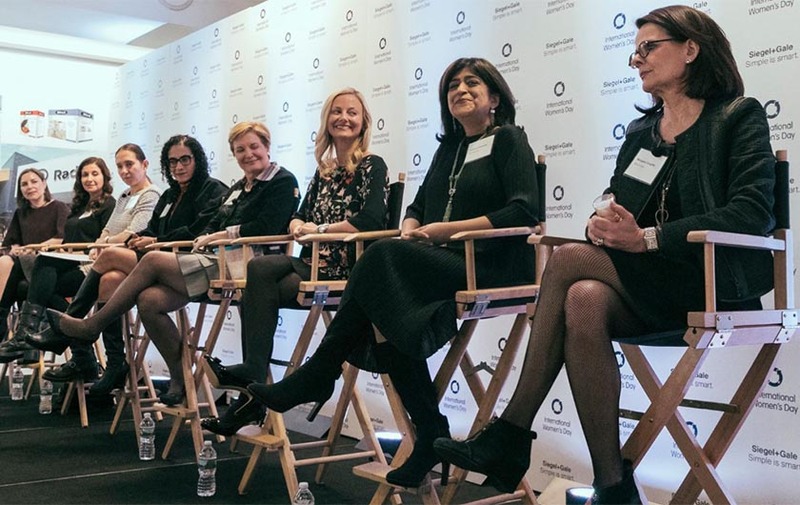 Siegel+Gale leveraged their strong network of leading female marketing executives across a range of industries including technology, healthcare, fashion and finance in New York City, Los Angeles and San Francisco to discuss how women can #PressforProgress in the corporate workplace. Siegel + Gale's International Women's Day activity involved many influential speakers from industry. Senior executives from some of the most influential brands in the United States were in attendance. Major movers and shakers working for some of the most influential brands in the world were in attendance. Many executives are now requesting that they be represented on the firm’s future event panels, and are eager to be included on Siegel+Gale's prestigious invite list. 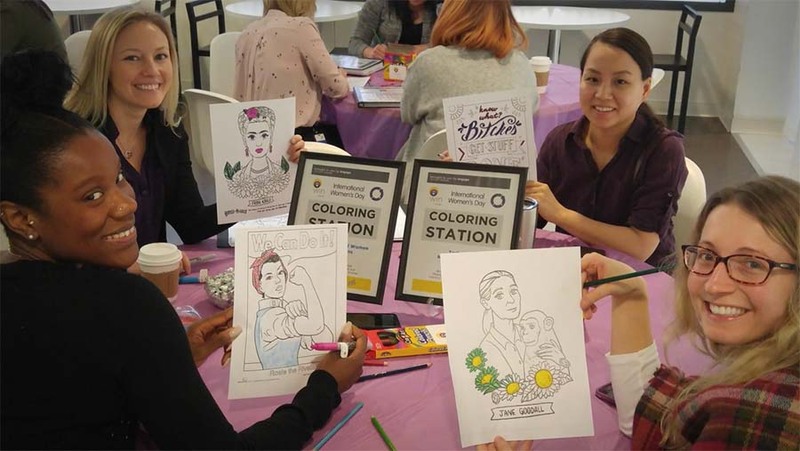 International Women's Day collaboration was led by Siegel + Gale. Through Siegel+Gale's blog and social media channels, the agency shared key insights and highlights from the panel. The International Women's Day logo and #PressforProgress hashtag were included on all communications and event materials, including outreach emails, social media posts, blog posts, Facebook albums, posters and programs. Siegel+Gale certainly made a fantastic effort to champion the #PressforProgress ethos far and wide. Margaret Molloy, Global CMO, Siegel+Gale concluded all three events by thanking everyone and acknowledging the special role marketers play, as brand leaders, in #pressforprogess. “It is incumbent upon marketers to create change for the better while selling.” - Rita Drucker, Head of Brand Integration, Snap Inc. Overall, a remarkable effort and example of best practice from Siegel+Gale. Watch this space for next year! 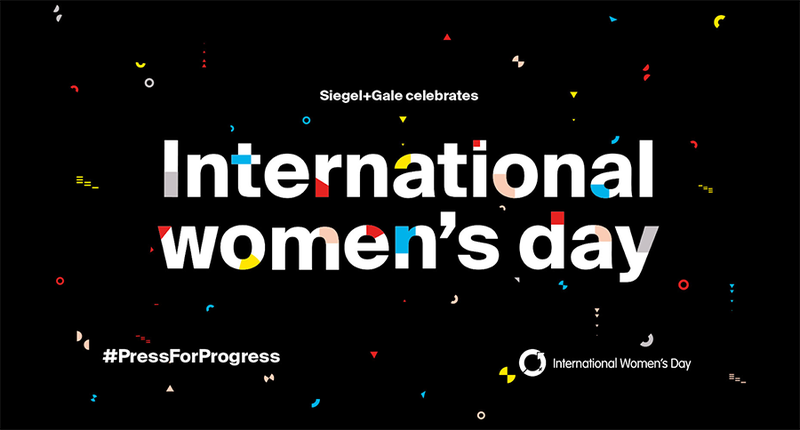 Siegel + Gale are leaders in celebrating International Women's Day and the stage is set for what the agency might lead in IWD 2019. 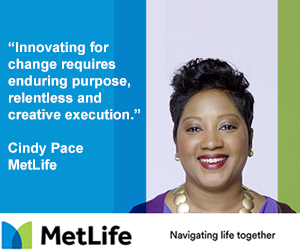 GTB engaged its employees to #PressforProgress by committing to action. 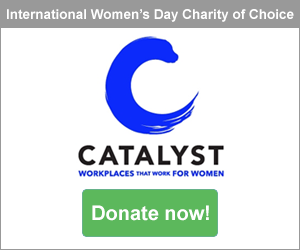 Meanwhile, GTB used IWD to strategically leverage their continued efforts as a company in recognizing, honoring, appreciating and inspiring women - as well as to provide support that helped equip employees with greater awareness and advocacy for women’s equality. 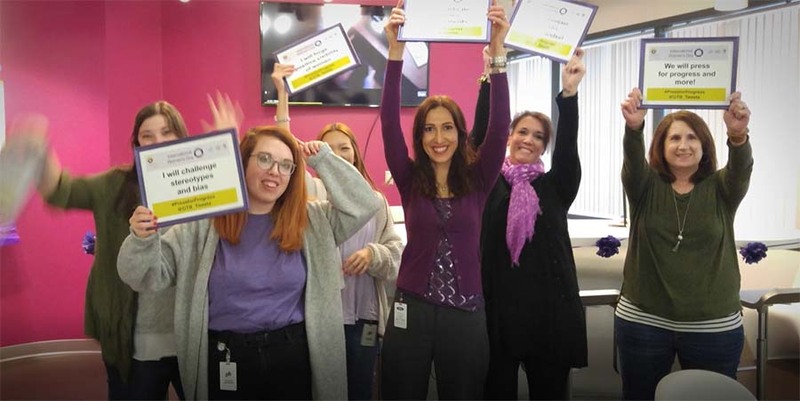 GTB’s Women’s INitiative employee resource group (WIN) proudly hosted a highly successful International Women's Day #PressforProgress celebration that aimed to drive positive change by inspiring GTB colleagues through a range of informative and engaging activities. And IWD's iconic purple was everywhere! 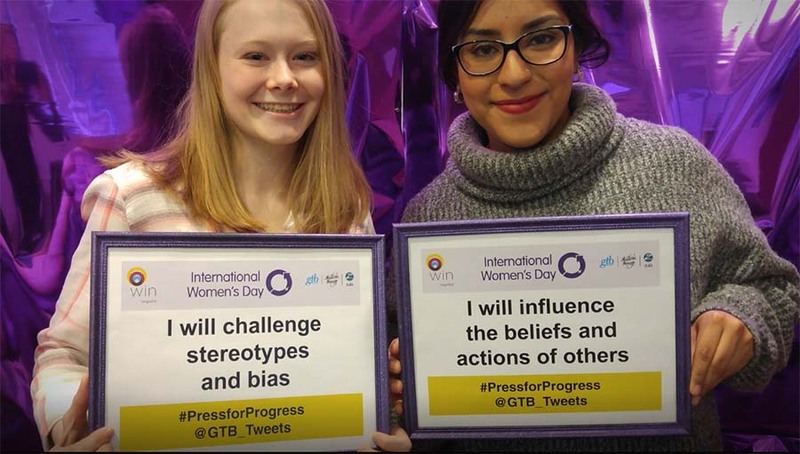 VIDEO: GTB delivered exceptional International Women's Day #PressforProgress activity celebrating the contributions women make. The WIN Team recognized that employees of GTB cover the entire spectrum of readiness for change and pressing for progress. Accordingly, the #PressforProgress activities that GTB delivered ranged from fun games that sparked interest in those at the start of their advocacy journey, through to pledging for progress by declaring #PressforProgress intentions on social media - which successfully served as a symbolic yet powerful gesture that activated employees’ motivations toward true and actionable change. GTB provided a range of interactive activities and resources on International Women's Day. 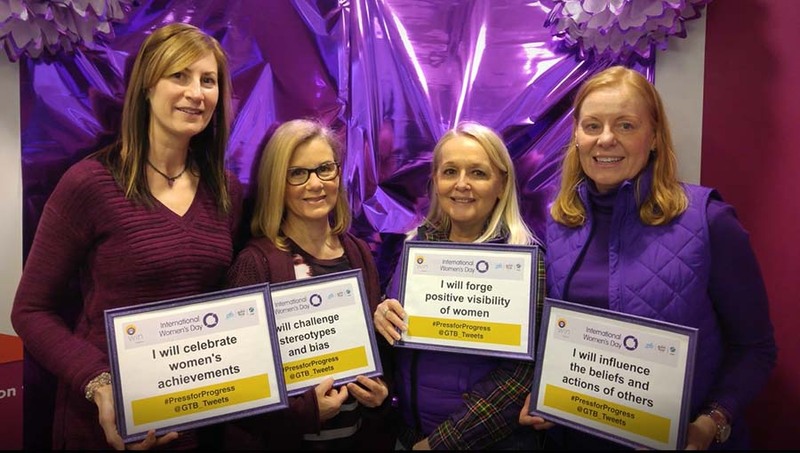 GTB saw impressive company-wide communications among employees on International Women's Day. One of the most unique aspects about GTB’s IWD #PressforProgress activity was that it served as a kickoff for the company’s further longer-term celebrations that included two additional GTB WIN Programs including a ‘WINning Women Awards’ and a ‘Returnship Symposium’. This was accomplished through a company-wide communication to all employees on IWD on March 8, encouraging them to not only attend the day’s festivities, but to also see GTB’s activity as part of a greater ongoing initiative and focus for the company. It was sent from GTB’s COO, the agency’s top-most female executive. GTB activity on International Women's Day was enjoyed and supported by very engaged employees. GTB’s WINning Women Awards recognized women who had made significant contributions to the Agency and in the broader community. The awards celebrated unsung “sheroes”, demonstrating appreciation for their contributions and serving as an inspiration for others. Based on a robust set of criteria, five women were selected and honored as part of the celebration and networking event that was open to all GTB employees and to the families of award winners. 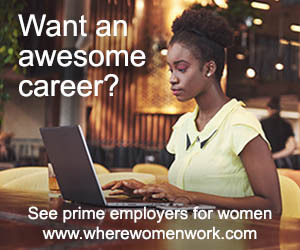 The second program delivered was a one-day Returnship Symposium for women professionals in the Detroit area who had enjoyed career breaks but were now ready to reconnect back into the industry. The event also included women from outside of GTB. The Symposium aimed to address negative consequences of a resume gap and provided support for on-ramping back into the workforce. GTB partnered with the 3% Movement for the symposium and enjoyed keynote speaker, author of “Work, Pause, Thrive”, Lisen Stromberg. Employee interaction and engagement were high for International Women's Day participation. Co-branding and use of the #PressforProgress campaign theme was present in every element of GTB’s IWD celebrations including on all marketing materials such as emails, posters, signs, pledge signs and selfie cards. GTB encouraged employee use of the #PressforProgress hashtags not only on Twitter, but across all social media platforms as well as in their internal YouEarnedIt online recognition program. Collaborative activities at GTB on International Women's Day proved highly engaging.